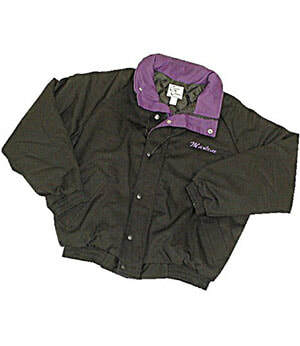 The Storm Jacket has a two color, contrasting storm flap, pockets, and collar. Cuffs and waistband are knit. Full zip through a lay down collar.